The Mint Yard is named after a short-lived sixteenth century royal mint. It is now a mixed quadrangle of classrooms, laboratories, day and boarding houses. From the mid-sixteenth to the early twentieth centuries, the School was almost entirely located here. The Mint Yard Gate now is the main entrance to the School. It was built after the demolition of the Almonry building. There had been an earlier entrance into the Mint Yard from The Borough. The archway can still be seen in the wall opposite the Milner Hall. 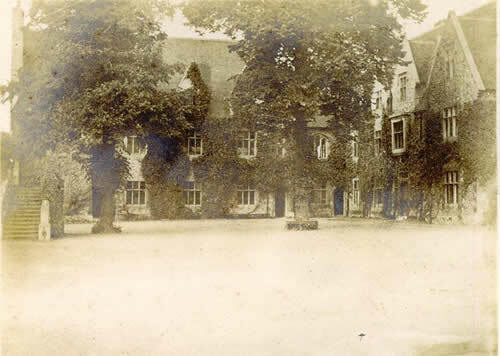 In the Mint Yard itself, School House is at the far end, with (clockwise) Galpin’s, Mitchinson’s (on the site of the former Almonry building) and the Parry Block making up the other sides of the quadrangle.